Anyway, it was a really busy and rewarding December, with lots of concerts with lots of friends, and January has been busier than usual with our collaboration with A'lante Flamenco at the Rollins Theater (read the Austin Chronicle review here! )—that was so much fun and educational at the same time. We also had school concerts at Texas School for the Blind and Visually Impaired and an upcoming one at the Armstrong Community Music School on Jan. 28, 2018. And all during this (and for the last year, actually) we've been working busily on our upcoming concert/theatrical concert It's About Time: Companions. Though it might be difficult to explain in a sentence or two, it is chock full of beautiful music from about 1200-1900, along with a healthy dose of music from 2017-2018 written/arranged by me. It's modern, yes, but hardly "shocking." The key phrase that describes the production is: "All it takes is 1 song to bring back 1,000 memories." I'm sure you know what I mean; I hear a couple of chords from the early Beatles, and I'm immediately transported to my hometown, our little house, the multitude of emotions from the teen years. So expand that by music from several centuries and imagine the possibilities! We are collaborating with popular Austin dancer Toni Bravo, who will be providing some historical dance for our singers to learn, and she will be dancing in a few pieces as well. See the more complete description for IATime below! Bring friends! More soon! Happy New Year! Expect the unexpected as we explore the musical and theatrical dreamscape a girl who dreams of encountering her love in different times and places throughout history. 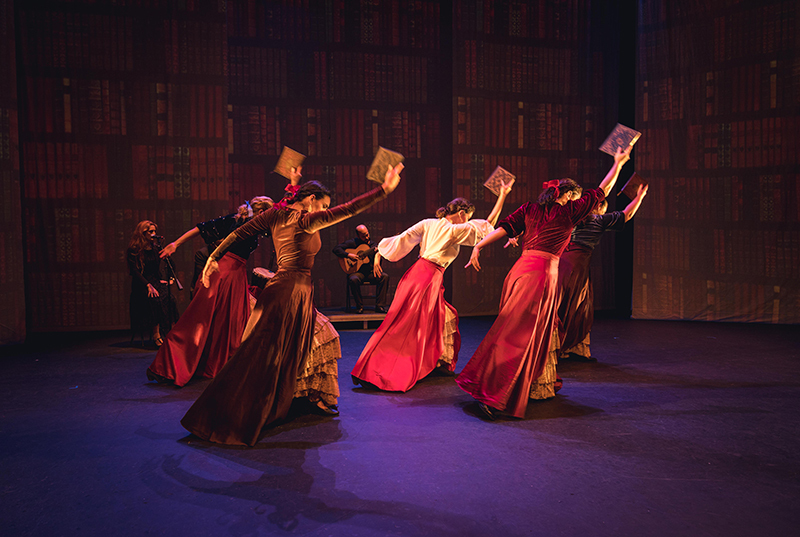 The centerpiece of its 2017-18 season, Texas Early Music Project’s staged concert (with historical dances choreographed by Toni Bravo) features a celebration of Western music from its earliest days through the instruments, voices, campfires, cathedrals, palaces, and concert halls over the past 10 centuries. Twenty-three singers and twelve instrumentalists perform music by twenty different composers, with Anonymous being well-represented through the centuries. Sometimes seemingly disparate composers are juxtaposed, as are musical genres: 19th-century Bizet with 16th-century Sephardic, 18th-century J.S. Bach with 1940s Americana, and much more. The concert will feature numerous talented musicians, mostly Austin-area TEMP members, with a few others coming in just for this, including New York singers Ryland Angel (countertenor), Peter Walker (bass), and Seattle-based mezzo Erin Calata. Join Texas Early Music Project for a musical journey through time and a dreamer's journey throughout history!